Many of you have emailed me and asked about the interview I was to do on The Body Politic last Friday the 11th. due to scheduling conflicts with the host we had to reschedule the show. It will air today the 14th at 1 pm PST (2 MST, 3 CST, 4 EST). You can listen to the show on Suzanne's blog talk page live and call in at those times. I hope everyone can listen as she is an excellent host and interviewer. This show is dedicated to the Wild Horses and Burros and the issues affecting them. I know that if you can't get through to the show you can instant message her during the show and she will incorporate your questions into the show as she did on the last one. For those that missed my interview on The Body Politic, it is now available online. This can be downloaded through iTunes, listened to online and/or shared. I hope that everyone will listen to it and share it widely. In addition, HoofLinks radio will be doing a show Wednesday the 9th. 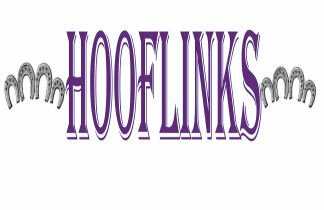 Get show info by going to the HoofLinks show. We are going to be continuing our talk on legislative efforts and interviewing a rescue on the issues facing them in the present economy. LOS ANGELES, CA, December 04, 2009 /24-7PressRelease/ -- It's near midnight as a two-tier cattle truck climbs a hill 50 miles from Tulsa, OK, grinding and spitting from its lumbering load. The grueling 1,000 mile trek that began at a horse auction near Waukegon, Illinois is far from over, as the truck's destination is a Texas holding pen earmarked for slaughter-bound horses nearly 355 miles away. If the truck makes it across the state line, it will deliver nearly 50 horses----yearlings, pregnant mares, registered Thoroughbreds, purebred Arabians, wild Mustangs and ponies, Appaloosas, and newly born foals to a Mexican slaughter house. While these equines have individual stories and backgrounds, they share one commonality: They were all purchased at auction by what is known in the industry as "kill buyers" who are fulfilling independent contracts with the slaughter house. As many as 22 horses have already died en route due to kicking injuries, water and food deprivation, and suffocation since departing the auction nearly 72 hours earlier. This scene is not set in the Dust Bowl era. The overweight, fragile truck is not filled with John Steinbeck's endearing "Joad" family seeking a better life . It's a glimpse into the all too real underworld of horse slaughter transport to plants located in Mexico and Canada-----fostering a highly egregious form of animal cruelty that continues unabated in the U.S. despite years of bitter public and political opposition. The continued public outcry prompted Congressman John Sweeney (R-NY) and John Spratt (D-SC) to sponsor bill H.R. 503 in 2006 in an effort to stop Mexico and Canada from butchering tens of thousands of healthy American horses every month. Although passed by a strong bipartisan vote in the House, the bill has been reportedly blocked by Agricultural special interest groups repeatedly, and remains in a seemingly permanent state of limbo in the Senate. The bill was reintroduced to the House of Representatives on January 14, 2009 by House Judiciary Committee Chairman John Conyers, Jr. (D-Michigan) and Dan Burton (R-Indiana), which became known as The Conyers-Burton Prevention of Equine Cruelty Act of 2009. The bill would criminalize the shipping, transporting, purchasing, selling, delivering, or receiving of any horse, horse flesh, or carcass with the intent that it be used for human consumption. In 2007, two slaughter plants in Texas and the last slaughter house in Illinois were permanently shut due to the enforcement of state laws and related lawsuits. Passage of H.R. 503 would prevent such slaughter houses from opening in any state that does not already have a ban in place. More than 100,000 American horses were exported to Canada and Mexico for slaughter last year. On Monday, December 7, at 1:00 PM PST, radio host and investigative journalist, Suzanne Marcus-Fletcher will continue her Itunes series on the state of horse welfare in America in a 60 minute interview with nationally recognized equine advocate Shelley Sawhook, President of the American Horse Defense Fund (AHDF) based in Washington, D.C. AHDF is the nation's leading horse welfare organization working to protect America's horses from abuse www.savinghorses.org. Fletcher's interview with Sawhook can be heard live or on demand at www.blogtalkradio/thebodypolitic or by calling The Body Politic Listener dial-in number: (646) 595-2146 at 1:00 P.M. PST on 12/7/09. The broadcast will be available in the Itunes store under The Body Politic / Blog Talk Radio podcasts. Among the show's topics will be the current status of H.R. 503, and other major advocacy initiatives now underway at the AHDF on the issues of slaughter and equine transport. National awareness of the equine slaughter issue ballooned after it was learned that one of America's 100 greatest racehorses named Exceller-----who beat two Triple Crown winners in the 1978 Jockey Gold Cup (Seattle Slew and Affirmed) and won 11 Grade or Group one Races, died in a slaughterhouse in Sweden on April 7, 1997----the same month he was nominated for induction into the National Museum of Racing and Hall of Fame. Fletcher's interview with the The Exceller Fund's Executive Director, Nicole Smith, and former President/Executive Director Bonnie Mizrahi is available in the Itunes store and at www.suzannemarcusfletcher.com. The Exceller Fund www.excellerfund.org was launched one month after the famed equines' death to help transition Thoroughbred horses to a second career off the track and provide "a future beyond the finish line." Said Mizrahi, "We all bemoan what happened to Exceller, yet this [slaughter] is happening every week with race horses that aren't as well known, but are no less deserving." Indeed, slaughter foes appeared to unite en mass after American news agencies reported that Ferdinand, the 1986 Kentucky Derby winner, ended up in a slaughterhouse in Japan in 2002. "Horse slaughter is an industry----not a charitable way for farmers to dispose of their old, sick, horses as believed by many across the country" said acclaimed equine advocate, Anne Irving. "It is an industry driven by the demand of foreign diners in Europe and Japan who consider American horse-meat a delicacy, and enjoy the lean horse-meat, which sells for approximately $20.00 per pound - and costs about .39 to .49 cents per pound on the hoof at auction," noted Irving. "Following the closing of the U.S. based plants, exports to Canadian and Mexican plants increased to quickly bring the total slaughter (numbers) back to the same level as before the closings." The American Horse Defense Fund (AHDF) has a new way to keep our members and the public informed, Blog Radio or podcast. The show will air for the first time tomorrow at 6 pm, Eastern, 5pm Central, 4 pm Mountain and 3 pm Pacific time. You can listen online live or to the archived show by going here. Caller are welcome to share their stories and information by calling in at 917-889-3682. I hope I get lots of calls otherwise I will be talking for half an hour myself, so call in! Please be patient with me as this is going to be my first attempt at doing this, I am sure things will get better soon. I, like the show, am a work in progress and the show sneaked up on me with everything else going on such as holidays and holiday shopping. (Anyone know where to find an elusive Zhu Zhu hamster where they aren't gouging you?) So, I know the first one isn't going to be as good as it should be but I hope it will impart some new information and ideas so folks know what is going on. I will also be appearing on the show Body Politic with host Suzanne Marcus-Fletcher on Dec. 4th and 11th for a full hour show each of these days. It will air at 1pm PST. Today is Veteran's Day and I hope that everyone is having a great day. However, in all the celebrations today and left out of all the lists of veterans is a group that have served the military and police without question and with as much loyalty. Those missing are the animals. These brave creatures have served with our men and women in the military. They go where others would fear to tread without reservation. Some have been decorated over the years for their heroic service, yet after their service is over, no matter what they have done, they are tossed aside. 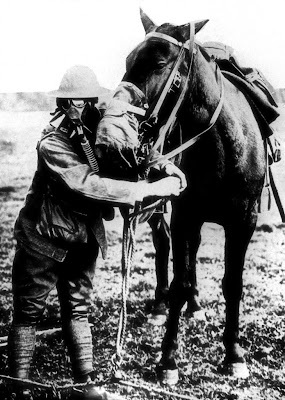 Is it any wonder that today we question the support given to returning vets when the 4-legged ones were treated this way long ago. The way our country treats its veterans is a disgrace and it is time that ALL vets are provided for and that we recognize their contributions. So, today take a moment to recognize and thank a veteran for their service to you and to this country. As for the 4-legged service members who served us well and who were never recognized take a moment to think about them and how without them we wouldn't be as free a country as we are now. Think about them, learn about their contributions and make a decision that we WILL take care of and recognize ALL our veterans. (Washington, DC)Save Our Wild Horses Coalition members Ms. Shelley Sawhook, president of the American Horse Defense Fund, and Ms. Cindy MacDonald, author of American Herds Blog, attended a week of meetings with various representatives, senators and their aides last week in Washington, DC. Their main goal was to present a Resolution calling for a moratorium on wild horse and burro gathers (i.e., wholesale removal from their federal lands); ask for an independent census of the horses and burros, both in the wild and within holding facilities, and; call for an investigation into the highly questionable policies, processes and practices of the Bureau of Land Management’s administration of the wild horse and burro program. In addition, they presented materials and information in support of the Resolution. All materials presented by Sawhook and MacDonald will be made available on the Save Our Wild Horses (SOWH) website as well as their own various sites and blogs. While in Washington, Sawhook and MacDonald met with senatorial aides to the various Energy and Natural Resources Committee and related sub-committee members. MacDonald also had the opportunity to meet with her own Senators, Reid and Ensign. Many issues relating to the issue of wild horses and burros were discussed and the SOWH Resolution was presented and discussed. During the meetings, Senate questions were addressed and a policy point paper and a paper detailing the pros and cons of the Salazar Plan (i.e., Secy. Of the Interior’s plan to remove wild horses from their traditional range and place them in non-breeding sanctuaries in the East) were provided as additional resource information to support the resolution and SOWH’s positions and to answer other questions. In several meetings, SOWH representatives were told that the Obama Administration has asked for the implementation of the “Salazar Plan” to see if it might solve the wild horse and burro issues and give the new Secretary an opportunity to administer the program without intervention so early on in his administration. This presents a problem as SOWH is opposed to the implementation of the Salazar Plan as it is not in the best interest of wild horses and burros and would pervert the existing Act protecting the nation’s wild horses and burros, specifically, the plan remove horses from their recognized herd areas. Notable among most aides were that they were unfamiliar with wild equine issues. Once informed, they sought the input of SOWH and of those who are most familiar with wild horses and burros on what is best for them. SOWH asks that everyone with such expertise contact the committee members and their staff (links and resources are on www.saveourwildhorses.com) to provide much needed insight and guidance to assist the senators with bolstering the protections. An example of a common perception among many talked to on the Hill and among Americans was exemplified in a meeting with Senator Blanche Lincoln (D, AR). It was apparent that her office had not heard much from their constituents on the issue, stating she would likely defer to those from the western states where the mustangs and burros reside. That position fails to acknowledge that these symbols of America and our history and values belong to the American public, not just western states. SOWH calls for all Arkansans to contact Senator Lincoln’s office to voice their position on the wild horse and burro issue so that she can hear loud and clear that protection of these majestic animals are an important issue to them. Other offices that could benefit from hearing from their constituents are Senator Bob Corker (R, TN), Senator Robert Menendez (D, NJ), Senator Diane Feinstein (D, CA), Senator John Ensign (R, NV), Senator Jeff Bingaman (D, NM) and Senator Michael Bennett (D, CO). For more information contact Shelley Sawhook email president@ahdf.org, phone 866-956-2433 address 1718 M St NW Unit 191 Washington, DC 20036. The trip to DC is getting closer. It is getting crazy around my house. I have to get all the materials ready, get to the cleaners to get my suits pressed and get ready to go. I always get stressed when I go to DC because I know how important those trips can be and this time it is doubly important. Otherwise we might not have any more wild horse within a few years. So far I have heard from a couple of folks that they too want to go and help protect the wild horses. This is pretty exciting since lobbying is seen as hard. Too many folks are afraid of Congress, they keep forgetting that it is our JOB to visit them. We are their employers and we should check on our employees to see how they are doing and to tell them what kind of job we want done. George Knapp did an awesome job on his hour long special about the wild horses called "Stampede to Oblivion". In it Dina Titus said that our politicians seem to be focused on special interest and not on the hearing the people. Is it possible that the reason they listen to special interest is because they see them every day and they ply them with food, gifts and funds and not to the people because we DON'T visit and talk to them? Just a thought. BTW if you haven't seen the special you should take the time. It is probably one of the best pieces ever done on the issue. You can find it by going here, the videos are on the right hand side. It is in 5 parts, so watch them all. Also, the station says that they have an agreement with ALL CBS affiliates to provide content, so your local station could show it. Contact them to see if they will show it. WE have got to have success in getting the ROAM Act passed. If we don't we are probably going to see the end of truly wild horses and burros in another year or two. The FY 2010 gather schedule shows that they are planning to remove 12,000 horses and burros from the range. And FY 2010 has already started and the horses are being taken off the range as we speak. 12,000 horses is about 1/3 of the animals left on the range if you believe the BLM's numbers. If you are sure they are over estimating then you can see that this could be the end. So gear up folks, our wild horses and burros are in for the fight of their lives and we have to help them. It isn't the time to get mad, but it is the time to get active. Anger, while probably a VERY understandable emotion, causes us to make mistakes. The horses can't afford those, so let's move at this with a clear head and a firm determined attitude, the way the horses would want us to. The American Horse Defense Fund's (AHDF) mission is to facilitate the protection, conservation, and humane treatment of members of all Equine species. 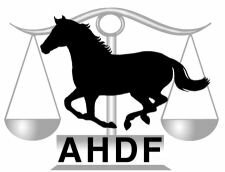 AHDF works to address inhumane treatment of horses, ponies, donkeys, mules and burros, both wild and domesticated through education, advocacy and litigation when necessary in the state, federal and international arenas. The AHDF was founded by Trina Bellak in 2000. Trina served as the president of AHDF until her untimely death in May 2006. Shelley Sawhook is the current president of AHDF. Shelley has over 6 years of experience in equine welfare and working in the management of non-profits. She is the owner of 3 horses and has over 25 years of equine experience.